Something just popped into one NASA telescope’s view, and it isn’t a star or a meteor—it’s one of our spacecraft. It’s hurtling towards planet Earth right now. There isn’t any danger, if you were worried. After last year’s launch, the Origins Spectral Interpretation Resource Identification Security - Regolith Explorer (OSIRIS-REx) is on its way back toward Earth for a gravitational assist that will send it hurtling off into space in order to study the near-Earth asteroid 101955 Bennu, and eventually, return a sample. 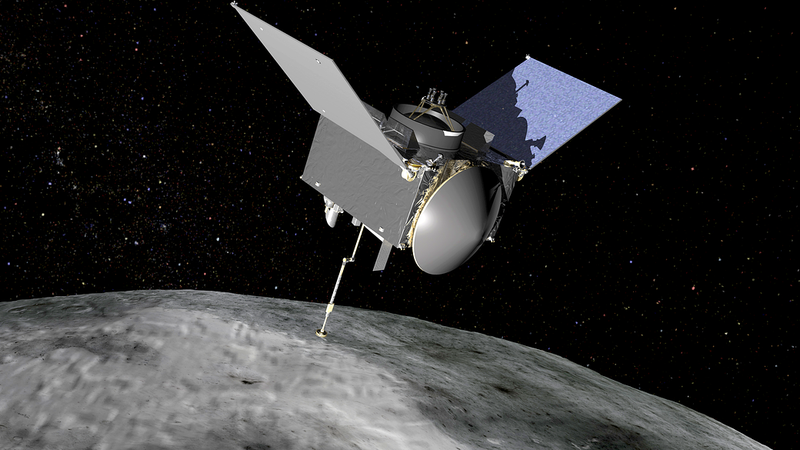 OSIRIS-REx scientists hope to collect a pristine sample of an asteroid in order to study the solar system’s origins, understand the chemistry of carbon-rich asteroids like Bennu, and learn more about asteroids in general. These new pictures (which have been color-inverted, magnified and cropped) show the spacecraft heading not away from us, but toward us. These sorts of missions frequently require a gravity assist from the Earth to save time and fuel to get the craft to the destination. 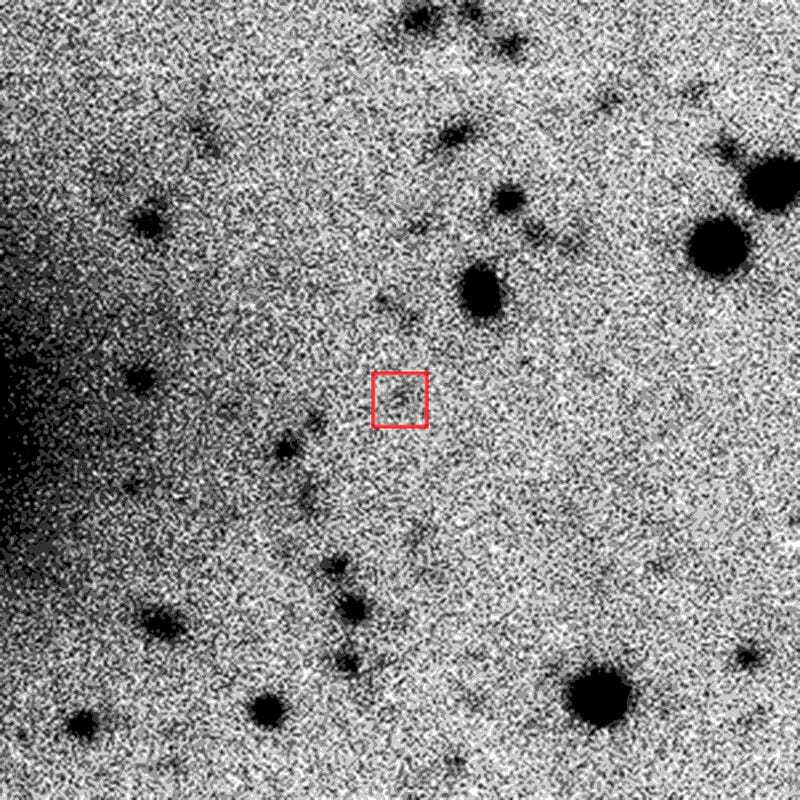 The Large Binocular Telescope Observatory in Arizona made the observation, the first Earth-based sighting of the probe since it launched, according to a NASA release. The spacecraft will continue approaching Earth until September 22, when it will pass over Australia and Antarctica traveling at 19,000 miles per hour, according to another NASA release. NASA will then lose contact with OSIRIS-REx, and hopefully regain it an hour later as it flies away. NASA is asking the public to take pictures of the probe as it approaches—there’s probably not much science to be done with them, a NASA spokesperson told Gizmodo, but NASA still reserves the chance that they may need the photos for something. In this specific photo, which was taken on September 2, the probe’s apparent magnitude was around 25, about as bright in the night sky as Saturn’s tiny, 4-kilometer wide moon Fenrir. In other words, it is very, very dim (but will increase in apparent brightness as it continues its approach). The fun will really begin once the spacecraft arrives at the asteroid in August 2018: “The sampling arm will make contact with the surface of Bennu for about five seconds, during which it will release a burst of nitrogen gas. The procedure will cause rocks and surface soil to be stirred up and captured in the sampler head. The spacecraft has enough nitrogen to allow three sampling attempts, to collect between 60 and 2000 grams 2–70 ounces (60–2000) grams.” The craft will return home in 2023. If you’ve got a telescope you can take a picture with, you might as well try snapping a photo of OSIRIS-REx. Why else did you buy the telescope if not to enjoy the stuff in space?